IN A LIBYAN MASS GRAVE? United States Navy Master Commandant Richard Somers was one of the first officers to enlist in the new Navy at the turn of the 19th Century. The young officer and his men fought gallantly in America’s first naval war against the States of North Africa. He died with his 12-man crew of the USS Intrepid on September 4, 1804 while engaged in a secret mission during the Battle of Tripoli. When their bodies washed up on the shores of Tripoli, the bashaw - the king of the pirates - invited a pack of dogs to devour them as American prisoners of war looked on. These 13 naval heroes remain buried today in two mass graves in Libya. One of those graves is unmarked and underfoot on the Tripoli plaza where Gaddafy has held his anti-America rallies for decades. Unfortunately, many Washington bureaucrats want to leave these men right where they are, buried like animals, not like American heroes. Today, 2,200 Marines from the 26th Marine Expeditionary Unit, 2nd Marine Expiditionary Force are floating just offshore aboard the USS Bataan and USS Mesa Verdeare, awaiting orders in the same Mediterranean waters patrolled by Somers and his men. Two thousand modern Marines are poised to fight in Libya where we left 13 combat veterans behind 207 years ago. The Somers family has asked for the return of their ancestor's mortal remains for two centuries. The City of Somers Point, named after the heroic Master Commandant's family and still their residence, has worked on repatriation for decades. Additionally, the descendants of renown American poet Henry Wadsworth Longfellow wish for the return of the remains of his uncle, Lt. Henry Wadsworth, who served as second in command on the fire ship Intrepid when it was lost. The legendary poet was named after his heroic uncle, as he was born just a few years after the failed mission. With the instability in Libya today, Americans are paying close attention again to Tripoli. We have a brief window for a strong push to align national public sentiment behind the campaign to return the mortal remains of these early American heroes. Rep. Mike Rogers, chairman of the House of Representatives Select Committee on Intelligence, has introduced HR 1497, the first legislation in history to require the exhumation and return of the remains of these brave men. But Rep. Rogers and Rep. LoBiondo need our help - they need hundreds of other members of the House of Representatives to sign on to HR 1497 as cosponsors. Without this support, HR 1497 will never pass the House and may never be heard in the US Senate. Encouraging Congressmen to sign on will require a sizable public relations campaign, so our nation's veterans will have to carry this message to the people. We need your help. Please call your Congressman today at 202-224-3121 and encourage them to sign on as a cosponsor of HR 1497. You can also CLICK HERE to find out how to contact your congressman. Finally, CLICK HERE to sign the petition to bring home the 13 heroes of the USS Intrepid! For more information, go to The Intrepid Project. It’s a few miles from the Qaddafi villa to the breathtaking ruins at Cyrene, founded in the seventh century B.C. and once known as the “Athens of Africa.” I wandered, almost alone, among the Greek and Roman temples and gazed out to the Mediterranean. Libya, brutalized, is reclaiming something deep, its history and culture. I descended 55 steps into the labyrinth of Muammar el-Qaddafi’s mind. The glow of cellphones and a feeble flashlight lit a passage into the darkness. A netherworld unfolded — bedrooms, bathrooms, kitchens, even saunas — linked by tunnels with six-inch-thick metal doors agape at their mouths. No expense had been spared on this lair. So Qaddafi always thought this could happen, even 42 years into his rule. He feared someone might slice away the myths — Arab nationalist, African unifier, all-powerful non-president — and leave him, disrobed, a little man in a vast vault with nowhere left to go. In the twisted mind of the despot now derided here as “the man with the big hair,” his own demise was the tousle-coiffed specter that would not go away. Strange, then, that the United States and Europe never thought this could happen — not to Qaddafi, or Mubarak, or Ben Ali, or any of the other murderous plunderers, some now gone, others slaughtering their own people, here in Libya, or in Syria, or Yemen. Policy was based on the mistaken belief that these leaders would last forever. They were paranoid about their fates. We were convinced of their permanence. Of course it was not just a conviction about their inevitability that drove U.S. policy toward these dictators. It was a cynical decision to place counterterrorism and security at the top of the agenda and human rights — in this case Arab rights — at the bottom. It was about Big Oil interests. And, to some degree, it was about the perception of what served the security of America’s closest regional ally, Israel. Oh, sure, an Egyptian human rights activist might get American support, or a worthy nongovernmental organization, but when they were suppressed a resounding silence emanated from Washington. Arab reform was an oxymoron, as was Arab democratization. They were dwarfed by the supposed counterterrorist credentials of these despots, their professed loathing for Al Qaeda or Hamas or any brand of radical Islamist, and their readiness to kill or torture and pass on intelligence. Qaddafi never stopped haranguing U.S. diplomats about his hatred for Al Qaeda and about American support for Al Qaeda’s first home, Saudi Arabia. Yet he, like the other dictators, was also busy creating the problem in order to portray himself as the solution to it. Passports got into the hands of the Libyans who made their way from the eastern town of Darnah to swell the ranks of Qaeda offshoots in Iraq. Repression fed extremism. Plundering fed desperation. Hosni Mubarak used the Israeli-Palestinian conflict as a manipulative tool in his repressive arsenal. He was the worst “friend” the Palestinians ever had, sowing division as he preached unity. Like Qaddafi and Ben Ali, he called himself a bulwark against extremism even as his strangled society fostered it. So, having been in Tunisia and Egypt and now Libya during this Arab Spring, I say, Shine a light — into Qaddafi’s bunkers and everywhere. Let people out of their dark houses. Allow them to participate in the making of their societies. Take the disgruntled and give them opportunities. That’s a different counterterrorism policy that may actually work over time. The evolving Middle East, where despotic Islamism is well past its ideological zenith, demands it. Before visiting Qaddafi’s villa, where kids play soccer on the former tennis court, I went to the Bayda home of Mustafa Abdel-Jalil, the mild leader of the Transitional National Council in eastern Libya. “The West’s mistake was to support Qaddafi, the first terrorist,” he said, citing the downed Pan Am 103 and UTA 772 flights, with a combined total of 440 people killed. There’s a debt to repay to the Libyan people; a strong strategic interest in a Tunis-Tripoli-Cairo democratic example; and, with civilians dying daily in Misurata, a powerful U.N.-backed legal case for bombing that forces the issue: Qaddafi’s departure. The attack on Tripoli in which one of Qaddafi's sons appears to have been killed falls in that category. Behind the swagger lurks the coward who built that bunker. On April 20 a group of five photographers, including the Oscar-nominated British photojournalist Tim Hetherington and the Pulitzer prize-winning photographer Chris Hondros, came under fire in the besieged Libyan city of Misurata. They had spent the morning following rebel units as they fought at close quarters to clear Muammar Gaddafi’s forces from their town. That afternoon they were hit by a mortar attack. 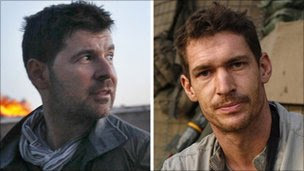 Within hours, Hetherington and Hondros had died from their injuries. The British freelance photographer Guy Martin, who was working alongside them, was seriously injured by shrapnel. Martin, 27, from Cornwall, started covering the Libyan uprising in Benghazi, Libya’s second-largest city, in the east of the country, on March 20 with a friend from university, Ivor Prickett, 27, also a photographer. The uprising had started in the city a month before as a small protest over the arrest of a lawyer representing victims of a prison massacre; two days later it had turned into a city-wide revolution. 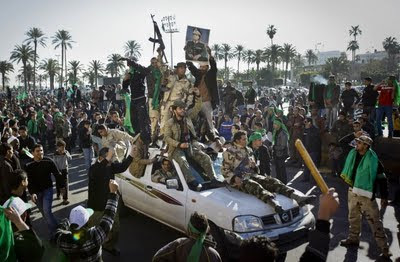 On the day Martin and Prickett arrived, rebels were celebrating the first air strikes by British and American forces around Tripoli, the capital city still controlled by Gaddafi, in the west. The pair spent nearly three weeks following eastern rebels fighting along the coastal road between Ajdabiya and Sert, just south of Benghazi. Martin’s photographs show well-dressed rebels in camouflage gear and military boots with belts of bullets strapped across their chests, sometimes cheering and firing their rifles into the air, at other times praying by the side of their armoured vehicles parked on the dusty road. Martin studied documentary photography at the University of Wales, Newport, in 2003-2006, where he began pursuing long-term projects, one of which, Trading over the Borderline, a photo-essay from the northern Iraq/Turkey border, won the Guardian/Observer Hodge Student Photographer Award. In 2007, 2009 and 2011 he was listed as one of the Magenta Foundation’s emerging photographers. In 2006 Martin went to Sudan, a year after the civil war ended, taking striking portraits of the Dinka tribes­people, some of the estimated 4.5 million Sudanese refugees, as they made their way back to southern Sudan after 20 years of displacement. Two years later he went to his first conflict zone to cover the war in Georgia. 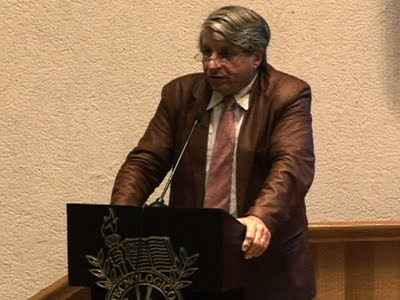 He had met Hetherington (who last year won an Academy Award nomination for best documentary for the Afghanistan war film Restrepo) and Hondros in Benghazi, along with two other photographers, Michael Christopher Brown, based in New York, and Guillermo Cervera, from Spain, and together the five travelled to Misurata. As the city was sealed off by land, the only way to get there was on a 36-hour boat ride from Benghazi. Martin turned down two boat rides because they looked too dangerous, but took the third, with the other photo­graphers, arriving on April 16. As they stepped off the boat, Martin recalls, some 400 Nigerian migrant workers were queuing to board it to flee the city. Once there they travelled as a pack, following the rebels as they tried to clear government forces from the rooftops of their city’s buildings. In sharp contrast to the smartly uniformed rebel soldiers in the east, Martin’s pictures show the Misuratan insurgents dressed in hooded jumpers, fighting to protect their homes and neighbourhoods. On the morning of April 20 they had been photographing heavy fighting between rebel forces and Gaddafi’s snipers, who were shooting from the tops of tall buildings with high-powered rifles down on to Tripoli Street below. The group had been hit by a mortar, 'the only thing I heard falling all day,’ Cervera says. Hetherington and Hondros died from their injuries, Brown was hit in the shoulder and Martin, despite wearing a bullet-proof vest, suffered major injuries to his stomach and vascular injuries around his pelvis. He was taken to Misurata’s only functioning hospital, Al Hekma, where he had been photo­graphing only days before. Four days later, when he had been stabilised and when an appropriate ship had been found, he was evacuated to Malta where his mother, Karen Martin, and his girlfriend, Polly Fields, met him. BALTIMORE (AP) — As the uprisings of the "Arab Spring" began to unfold, writer Matthew VanDyke was at home in Baltimore, editing a book and film about his trips across the Middle East by motorcycle. An email from a friend in Libya convinced VanDyke that dispatches from that country's war would make a perfect epilogue. Now VanDyke has been missing for nearly three months. His mother, Sharon, said the 31-year-old decided he had to be there when the friend asked VanDyke to tell others of the country's struggle if he was killed during the conflict. He's one of 17 journalists — mostly Libyans — detained by dictator Moammar Gadhafi's government or believed to be in custody in Libya. At least five others have been killed as rebel forces try to topple Gadhafi's decades-old regime, said Mohamed Abdel Dayem of the New York-based Committee to Protect Journalists. The last time Sharon VanDyke heard her son's voice, it was March 12 as he set off for a daytrip to the coastal oil city of Brega from the rebels' de facto capital Benghazi. He sent GPS coordinates the next day. His girlfriend, Lauren Fischer, 28, said she wasn't immediately alarmed because VanDyke hadn't sent an SOS signal as he promised he would if he met serious trouble. "I wasn't panicked," Fischer said. "He knows how to handle himself." VanDyke dialed her son's number 30 to 40 times a day for the next week, getting the same Arabic recording. Then at 4 a.m. March 22, she got a call from a man with an Arabic accent who hung up. Later that day, she got through to her son's cell, but a stranger who answered said in English he was in Tripoli and she had the wrong number. Sharon asked for her son and his friend from Benghazi, Nouri Fonas. "He said, 'I hope you find your son,' then the line went dead," she said. Phone companies confirmed that both calls involved her son's cell. Fonas told her someone spotted her son in a prison in Sirte. That gave her hope, but the secondhand information gives officials little to go on. VanDyke is one of at least six Americans being held in Libya, and State Department officials are working to secure their release, said agency spokesman Mark Toner. "You know, they've done nothing. They should be released. And they're simply caught up in this conflict," he said. U.S. Rep. C.A. Dutch Ruppersberger, a Maryland Democrat and ranking member of the House Intelligence Committee, held a news conference May 23 to call attention to VanDyke's disappearance. Two days later , Deputy Libyan Foreign Minister Khaled Kaim said he had no information about VanDyke. Libyan officials generally have not identified Libyan journalists in custody, and have only after days or weeks identified foreigners, Dayem said. Libya's war is just one part of what has become known as the "Arab Spring." Longtime Tunisian dictator Zine El Abidine Ben Ali was ousted in January, and Egyptian President Hosni Mubarak resigned the next month amid a popular uprising. Uprisings also have occurred in Syria, Bahrain and Yemen. VanDyke was raised in the same two-story townhouse across from a South Baltimore park that four earlier generations of his family have called home. After studying political science at the University of Maryland, Baltimore County, he earned a master's degree in security studies with a concentration in the Middle East in 2004 from Georgetown University in Washington. UMBC professor Thomas Schaller called VanDyke one of his smartest students and said he's sure that, wherever VanDyke is, he's frustrated that he's not getting anything done. "He has thirst for life and to do things that people told him he can't do or shouldn't do," Schaller said. "I just know he's going to come out on the other end with quite a yarn." VanDyke met Fischer in 2006 in a hostel in Spain. He was waiting for his motorcycle to arrive so he could ride across north Africa and the Middle East, but he ended up staying in Spain eight months teaching English and fixing the bike, she said. He headed to Iraq in late 2006 with another motorcycle. "He wanted to write a book and see the world he had studied about," Fischer said. "He wanted to do something more independent." VanDyke approached The Baltimore Examiner newspaper, which is no longer publishing, in hopes of getting credentials to be embedded with the U.S. military. Editor Frank Keegan saw an opportunity to better inform readers about an important part of the world and get stories about local soldiers overseas. The paper published two of his stories. "He's a level-headed guy with a lot of talent," he said. "He was not just some adventure-seeking kid who didn't know what he was getting into." VanDyke traveled through Morocco, Mauritania, Tunisia, Syria, Jordan, Egypt, Turkey, Iraq, Iran, Afghanistan and Libya with periodic visits home. While in Baghdad in 2009, VanDyke met photographer Daniel C. Britt, and they decided to make an East-meets-West travelogue film. Last year, they set off on a seven-month motorcycle trip through Iraq, Iran and Afghanistan, chronicling the people and places they found along the way. Seeing VanDyke's resolve while they were detained for days north of Baghdad, accused of being al-Qaida and beaten, showed Britt that he had the ability to deal with problems. "I have faith in his ability to remain calm, and that's helping me remain positive," Britt said. "Other than that, it's a pretty dark scenario." For now, Sharon VanDyke, a retired elementary school principal, keeps a bag packed in case she hears any word about her son. She is considering a trip to Libya after bringing photos of her son to the Libyan embassy in Turkey last month. Just as she gathered her son's clips during his previous travels, she has been pulling together news stories about Libya and other materials into binders that are taking over the dining room table. "When he comes home, he's going to read all of these while Lauren and I go on vacation," she said. Associated Press writers Matthew Lee in Washington and Diaa Hadid in Tripoli, Libya, contributed to this report. Almost all of the new Arab revolutions have centered around the main public square of every city where non-violent, peaceful protests usually begin, primarily on a Friday after prayers at a mosque. In Tripoli, Green Square, the part east of the old castle fort, is where most public gatherings take place and is where Mussolini and Gaddhafi have addressed the crowds from the ramparts. After the Gaddhafi era is over and he is no longer in power, Green Square will revert to its former name, Martyr's Square, and the red, black and green tri-color with the crescent moon and star will fly over it. The only real martyrs buried at Green Square are the American suicide bombers - U.S. Navy Master Commandant Richard Somers, Lt. Henry Wadsworth, Lt. Joseph Israel and the five men of the USS Intrepid. 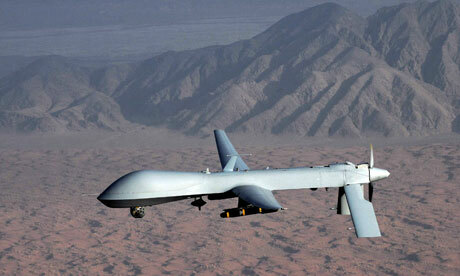 xxRobert Gates, the US defence secretary, says Barack Obama has approved the use of armed Predator drone aircraft in Libya. Gates told a Pentagon news conference that the Predator is an example of US military capabilities that the president was willing to contribute to the military campaign in Libya, while other countries enforce a no-fly zone. "President Obama has said that where we have some unique capabilities, he is willing to use those," Gates said. "And in fact he has approved the use of armed Predators." The first Predator mission following Obama's go-ahead was flown on Thursday, but the aircraft armed with Hellfire missiles turned back because of poor weather conditions, Marine General James Cartwright, the vice-chairman of the Joint Chiefs of Staff, said at the same news conference. "What they will bring that is unique to the conflict is their ability to get down lower, therefore to be able to get better visibility on targets that have started to dig themselves into defensive positions," Cartwright said. "They are uniquely suited for urban areas." Cartwright did not reveal the intended targets of the first, aborted Predator mission. Washington (CNN) -- President Barack Obama has approved the use of armed Predator drones in Libya, Defense Secretary Robert Gates said Thursday. Gates suggested that the unmanned Predator missions may have already begun. He said he believed that the first flights were launched Thursday but were called back due to poor weather. "The president has said that where we have some unique capabilities, he is willing to use those," Gates said. "And I think that today may in fact have been their first mission." Gates said the Predator drones offer a "modest contribution" to NATO efforts to support rebels fighting embattled Libyan leader Moammar Gadhafi's forces there, though Gadhafi is not a specific target. Unmanned aerial vehicles offer more precise targeting, because their low-flying capability allows for better visibility, "particularly on targets now that have started to dig themselves into defensive positions," Gates said. He said the drones are needed for humanitarian reasons, and they have capabilities that larger aircraft such as A-10s and C-130s cannot provide. Vice Joint Chiefs Chairman Gen. James Cartwright said the added precision is necessary because forces loyal to Gadhafi "nestle up in crowded areas" to maximize civilian casualties. "It's very difficult to identify friend from foe," Cartwright said, noting that the drones facilitate identification of individuals on the ground. Remote Predator operators are now permitted to strike Gadhafi's defense missions, including air defense, missile and radar sites. Predator strikes are also authorized for civilian protection and can hit Gadhafi's troops, military installations and equipment in the field. The U.S. employed the use of unmanned drones early in the NATO campaign, but they were intended for surveillance only and not authorized to fire. The Obama administration plans to send $25 million in assistance to Libyan rebels fighting the regime of longtime leader Muammar Qadhafi, the State Department confirmed Wednesday, though the support will not include arms or other military backing. Secretary of State Hillary Clinton has asked President Barack Obama to approve the funding. “This is not a blank check. This is not $25 million in actual cash or money. It’s actually in goods and services that would be drawn down from items already in government stocks that correspond with the needs” of the rebel movement. If approved, the U.S. government will provide halal food and equipment such as radios and body armor to the disorganized and ill-equipped rebel forces that have come together under the umbrella of the Transitional National Council. The State Department sent a letter last Friday informing the Senate Foreign Relations Committee of the plans to send the aid, which would come from the existing inventory and resources of U.S. government agencies. Pentagon spokesman Capt. Darryn James said items to be delivered include medical supplies, protective vests, binoculars and halal rations. “We expect that most or all of these will be from [Defense Department] stocks, though contributions may come from other agencies,” he said. Through April 4, the Defense Department had spent $608 million on operations in Libya, a Pentagon spokeswoman told POLITICO. If operations continue at planned levels, they will cost about $40 million per month, Defense Secretary Robert Gates said during a House hearing last month. THE United States and its allies are considering whether to supply weapons to the Libyan opposition as coalition air strikes fail to dislodge government forces from around key contested towns. France supports training and arming the rebels, and the Obama administration believes the United Nations resolution that authorised international intervention in Libya has the ''flexibility'' to allow such assistance ''if we thought that were the right way to go'', Obama spokesman Jay Carney said. Gene Cretz, the recently withdrawn US ambassador to Libya, said administration officials were having ''the full gamut'' of discussions on ''potential assistance we might offer, both on the non-lethal and the lethal side''. President Barack Obama of the United States plans to provide rebels in Libya with up to $25 million in urgent, non-lethal aid, a senior US diplomat told lawmakers in a letter obtained by AFP on Wednesday. “I wish to inform you that the president intends to exercise his authority to draw down up to $25 million in commodities and services from the inventory and resources of any agency of the United States government,” Acting Assistant Secretary of State for Legislative Affairs Joseph MacManus wrote in a letter to US Senate Foreign Relations Committee. “The president’s proposed actions would provide urgently needed non-lethal assistance to support efforts to protect civilians and civilian-populated areas under threat of attack in Libya,” said Mr. MacManus. President Obama said that while he supports the decision by allies to send military advisers to aid Libyan rebels, he has no plans to put US “boots on the ground,” his spokesman said on Wednesday. A memorandum attached to the letter said the aid could include vehicles, fuel trucks, ambulances, medical equipment, protective vests, binoculars, and radios. Earlier this month, the Washington-based Center of Strategic and Budgetary Assessments (CSBA) estimated that the cost of military strikes in Libya is likely to exceed $100 million per day, putting the American Department of Defense on the edge, tip-toeing not to ask for an emergency funding to cover its troops in the North African country. Despite the US, United Nations and European Union sanctions imposed on Libya’s beleaguered government since March, the Qaddafi forces have found loopholes to import gasoline for use in military campaigns against the rebels. Reuters reported that oil trading and shipping sources with inside information said that so far at least 120,000 tons of gasoline had arrived this month at La Skhira in Tunisia for ship-to-ship transfers to Libya, a figure that amounts to nearly half of Tunisia's annual imports. France promised Libyan rebels on Wednesday that it would intensify air strikes on Colonel Qaddafi’s forces and send military liaison officers to help them as fighting raged in the besieged city of Misrata. Similarly, British “advisors” are expected to join the rebels. For many observers, sending “advisors” to Libya was hauntingly reminiscent of the United States dispatching military advisors to assist the corrupt South Vietnamese regime in the 1960s during the president of John F. Kennedy. Under Mr. Kennedy’s successor, President Lyndon Baines Johnson, more than 500,000 came to be stationed in South Vietnam, with a loss of nearly 50,000 of Americans before the US pulled out in 1975. The Communist regime of North Vietnam easily took over South Vietnam, and Vietnam became a unified country since then. The $25 million that President Obama has pledged to the Libyan rebels is a relatively modest amount, and it is probably drawn from a variety of budgets that can be accessed by the Executive Branch of the US government. The money is unlikely to invite questions about how the US can afford to give it to the Libyans at a time that it is experiencing budgetary and trade deficits. Standard and Poor’s rating agency downgraded US debt from stable to negative on Tuesday sent shivers to the rest of the world, making gold hit a psychological mark and new a record of $1,500 per ounce. On Wednesday, the International Monetary Fund said that the US lacks a credible medium-term plan to reduce budget deficits. The dictator's son I know is torn between family and democracy. We must engage with Saif's better instincts, for Libya's sake. The understandable but overwrought attacks on Saif Gaddafi that followed his embrace of his father, clan and regime in Tripoli at the start of the uprising, have made it extremely difficult to pursue a diplomatic track in Libya. Those of us who suggested six weeks ago that Muammar Gaddafi would be hard to topple, that the more likely outcome of the uprising would be a protracted civil and tribal war and a stalemate costly in human lives were dismissed as somehow wishing for the outcomes we predicted. Yet our predictions have turned out to be far more accurate than those of the exuberant naifs who insisted Tripoli was Cairo all over again and that democracy was at hand. Now that the fantasy expectations are gone, and it has become apparent that there are serious fissures in the Gaddafi clan itself, now that South Africa's President Zuma is pursuing a peaceful solution and the French war party has calmed down, there is an opening. But it depends on engaging Saif Gaddafi – and recognising that there will not be a military solution to the conflict, and a partition of Libya into a pre-1934 Cyrenaica and Tripolitania is neither feasible nor desirable. But can Saif be trusted? The media prefer heroes or villains, but Saif is both, and thus neither. As with most protagonists caught up in decisive historical moments, he is a man divided, torn between years of work on behalf of genuine reform that at times put him at risk, and the pull of clan and familial loyalties that drew him back into the bosom of a family defined by political tyranny and the rule of an autocratic leader and father. Just a year ago Saif completed his "Manifesto" – to have been published by Oxford University Press – calling for civil society and participatory democracy in Libya. It expressed a commitment to move beyond the "hereditary regimes, family rule, military rule, tribal culture and the absence of constitutionalism and rule of law" to a Libya defined by "stable political institutions and a stable code of laws". He boldly quoted the 17th century English rebel John Bradshaw, proclaiming "Rebellion to tyrants is obedience to God", adding in his own words: "I believe it is the duty of the people to rebel against tyranny." It sounds like rank hypocrisy today given what has happened recently to those in Libya rebelling against tyranny. Yet there is more to ground Saif's claims to being a reformer than what he has written. For he played a role in bringing two of the leading figures of today's opposition into Libyan government years ago. Mahmoud Gibril joined Saif and others in working on economic development prior to becoming one of Gaddafi's ministers, while Abdul Jalil – from Baida, in the east (where Saif's mother lived) – joined the government as a fair-minded and independent justice minister in part through Saif's advocacy. And then there is Saif's foundation, on whose international board I served until I resigned in protest at the outset of the insurgency. The foundation did serious work on human rights, free media, electronic democracy, civil society and the rehabilitation of Islamist fighters held in Libyan prisons. The need for its work was made clear by Saif himself in a remarkable speech to the Libyan National Youth Conference in 2006, where Saif said: "We have no free press. There is no press in Libya at all. We deceive ourselves when we say that we have press. Does Libya have people's authority and a direct democracy really? … All of you know that the democratic system that we dreamed of does not exist in the realm of reality." On the wrong side of freedom now, Saif still continues to work to release captured journalists and counteract the violence of his militant brothers, Mutassim (the security chief) and Khamis (who commands a deadly brigade). Just last year the Carnegie Endowment for International Peace wrote: "For much of the last decade, Gaddafi's son Saif was the public face of human rights reform in Libya and the Gaddafi Foundation was the country's only address for complaints about torture, arbitrary detention, and disappearances." None of this excuses Saif's abominable actions in the current crisis, but it does suggest it may be worthwhile to pursue quiet diplomacy in seeking a way out of today's violence and civil war. After all, Saif did turn down a senior position in government, saying he would never accept any role not sanctioned by free elections. Any role offered now would have to be transitional, caretaking while his father steps down and Saif's earlier constitutional reforms are allowed to move towards free elections. In the absence of a role for Saif, neither he nor his family have a way out other than – as Saif said so ominously several weeks ago – "to live and die in Libya", fighting to retain the family's tribal hegemony. Saif has forfeited the goodwill and trust he gained over the past five years. The only way he can vindicate himself is by ending the violent civil war, and overseeing a peaceful, democratic transition punctuated by his father's exit from any active governing role. I still believe that among the conflicting voices that vie for Saif's tortured soul there is the voice of a genuine democrat and a Libyan patriot. But others must open the door so Saif can, if he chooses, walk through it and re-embrace the reformer he abandoned at such a terrible cost to himself and his country. A delegation from Somers Point, New Jersey traveled to Washington, DC on Friday April 15, 2011 and met with Congressmen Mike Rogers (R- MI) and Frank Lobiondo (R-NJ) to discuss the recently introduced House Resolution that calls for the repatriation of the remains of Richard Somers and the men of the USS Intrepid from Tripoli. Sent to fight Barbary pirates, Somers and his 12-man crew perished in the explosion of the Intrepid in Tripoli harbor on September 4, 1804. The men were buried by captured American prisoners from the frigate USS Philadelphia outside the walls of the old castle fort in the Libyan capitol. Remains of five of the men were later uncovered by an Italian road work crew and reburied nearby in marked graves at the Old Protestant Cemetery. Although numerous efforts to repatriate the remains by the Somers family and citizens of Somers Point have been fruitless over the years, the current turmoil in Libya has called attention to the issue, and there is renewed hope that when the turmoil settles down, the repatriation of the remains of these men will be made a national priority. Earlier in the week Rogers introduced House Resolution 1497 that was co-sponsored by Lobiondo, which directs the Secretary of Defense "to take whatever steps may be necessary to exhume and transfer the remains of certain deceased members of the Armed Forces buried in Tripoli, Libya, and for other purposes." The discussions centered on the difficult task of generating public support for the resolution and finding more Congressmen to co-sponsor the resolution. Among those from Somers Point who attended the meeting were Somers Point Mayor Jack Glasser, Historical Society President Sally Hastings, Walter Gregory, chairman of the Committee to Return Richard Somers, committee member Greg Sykora, and Dean Somers, of the Somers family. Documentary filmmaker Will Kahane and local historian William Kelly and also accompanied the delegation to Washington where they met public relations specialist Michael Caputo, who helped organize the meeting, and Chipp Reid, who recently completed a book about the Barbary Wars. The resolution was sent to the Military and Veterans Affairs Committees for consideration, and needs additional co-sponsors. The group also met with veterans groups and hopes that their support will lead to a committee hearing and house votes in support of the resolution, as well as sponsors in the Senate. The delegation also met with senior staff at the headquarters of the American Legion, one of the nation's largest veterans service organizations. The Legion is considering supporting the effort to repatriate Somers and his crew and agreed to meet the delegation to discuss the issue in detail. "The veterans groups are the ones who are going to take this to another level," said Committee member Greg Sykora. 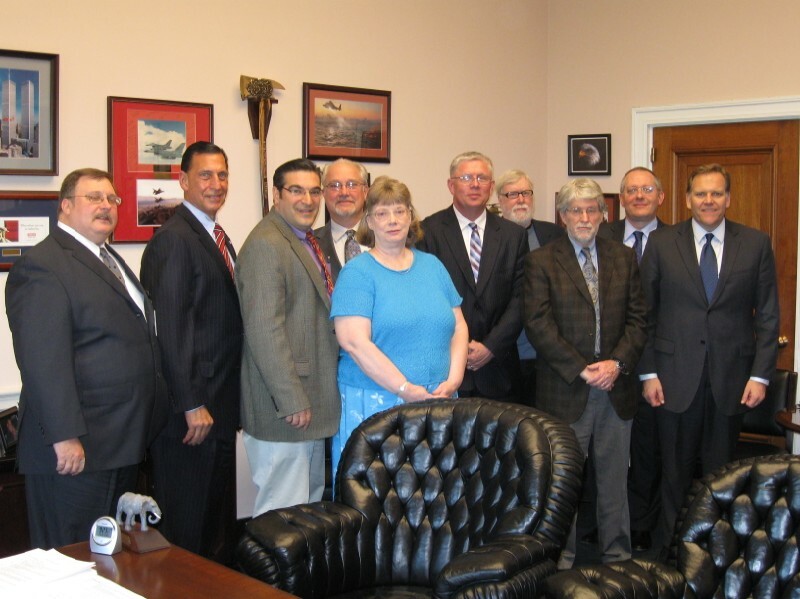 Both the Congressmen and the Veterans groups noted the importance of the families. "I would like to have my family member come home," said Dean Somers. "It's time." Somers Point mayor Jack Glasser was encouraged by the direction of the meetings. "It was very encouraging because we now have direction, and there are important people who want to help us," said Glasser, after meeting with Rogers and LoBiondo. "Hopefully it will pick up momentum and more people we join us." The meetings also infused new optimism among the members of the Committee to Return Richard Somers. "I have been pessimistic because we have been down so many blind alleys the past seven years," said Committee Chair Walt Gregory. "I think we are now finally moving forward." "The 200 year old story of Richard Somers isn't over yet," said Sally Hastings of the Historical Society. "It continues today, and discouragement has turned to hope." 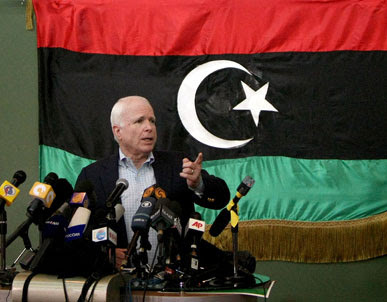 Is Libya Obama's Bay of Pigs? Historically Doomed – Will Libya be Obama’s Bay of Pigs? Fifty years to the day since the ill-fated Bay of Pigs invasion of Cuba, an attempt at instigating an insurrection against the tyrannical dictator Fidel Castro, the resounding defeat against American foreign policy was basically attributed to the indecisive reluctance of President John F. Kennedy to commit American military assistance, especially promised air support for the rebels at a crucial moment. Today a half-century later, President Barack Obama has been tasked with championing many of Kennedy’s ideals, yet Castro remains in power, as does an equally tyrannical dictator, Mohmar Gaddafi, who has maintained his reign in Libya since he took over in a political coup in 1969. Shortly after the new Arab revolution was sparked by the self-immolation of Mohamid Bouazizi in Tunisia in December 2010, the revolt quickly spread to other Arab nations in North Africa and the Middle East, and when anti-government demonstrations began in Libya in February 2011, the rebels quickly took control of most of the cities and towns outside of Tripoli and Gaddafi’s hometown. Unlike Tunisia and Egypt however, the Libyan government responded with a violent crackdown on the demonstrations and protesters, and the well trained and paid mercenary army eventually recaptured much of the lost territory, using heavy artillery, rockets and heavy armor against lightly armed civilians. It was at that point, according to former national security advisor to Republican presidents, that the United States should have entered the fray, and it would have been at that point that it would have made a difference. Barack Obama’s hesitancy, indecision and reluctance to act until the United Nations and NATO endorsed the action that led to the near destruction of the democratic revolution in Libya. And when he finally committed the United States to act, it was limited to merely protecting the Libyan civilians, and not to the removal of Gaddhafi, which sounded a lot like the limited liberation of Kuwait, or the acceptance of the 1805 peace treaty with Yousef Karamanli. Although the Tyrant of Tripoli and Barbary pirate was soundly defeated by American forces, we accepted a treaty that not only paid him ransom for prisoners, against previously stated policy, but it allowed Karamanli to remain in power, and his family continued to remain in power for another century. If the situation develops that permits Gaddhafi or his family to remain in power, then Libya will be viewed as Obama’s Bay of Pigs, and America’s foreign policy will be set back another fifty years. Labels: Libya - Obama's Bay of Pigs? Richard Somers was born in Somers Point, New Jersey, on September 15, 1778. He was the great-grandson of John Somers, a large landowner, and son of Colonel Richard Somers, who served as a privateer in the American Revolution and Colonel in the NJ militia who fought at the Battle of Chestnut Neck. 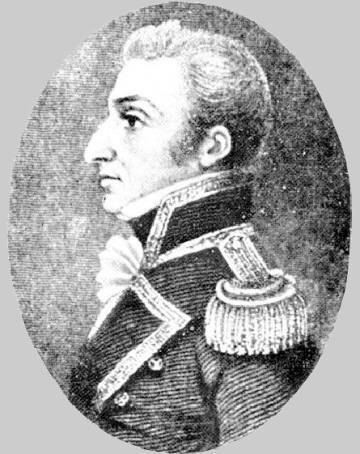 Richard was educated in Burlington, New Jersey and at the Abercrombie School (the Free Academy - now Episcopal Academy), where he was schoolmates with Stephen Decatur and Charles Stewart, all three of whom would be, in 1798, selected as the first midshipmen in the reconstituted US Navy under Captain John Barry (frigate USS United States). Richard Somers was described by contemporaries as having dark hair and eyes, an aquiline nose, and a face that bore marks of the cross of English and French blood in his veins. He was mild, amiable, affectionate and singularly chivalrous in notions of duty and honor. After serving under Barry on the USS United States and other US warships, Somers was promoted to Lieutenant and on May 5, 1803 given command of the schooner USS Nautilus and assigned to the Mediterranean squadron under Captain Edward Preble. After accompaning Preble to Algiers, Somers engaged the pirates at Tripoli, commanding a gun boat task force that twice attacked the pirate fleet with much success. Following the success of Lt. Stephen Decatur's sinking of the captured frigate USS Philadelphia in Tripoli harbor, using the former pirate ship rechristened USS Intrepid, Somers sailed the Intrepid back into Tripoli harbor as a fire ship, designed to explode among the anchored pirate fleet. During the night of September 4, 1804, the Intrepid prematurely exploded in Tripoli harbor, killing Somers and the twelve man crew, which also included Lt. Joseph Israel and Lt. Henry Wadsworth (Longfellow's uncle). The next day the bodies washed ashore, and were buried outside the walls of the old castle fort by the American prisoners from the Philadelphia. In the 1930s, an Italian army road crew uncovered five of the remains of the men of the Intrepid and reburied them at the Old Protestant Cemetery, about a mile away east along the coastal road. In 1949, an official US Navy ceremony was held at the cemetery site. In 1977 an article about the sad state of the cemetery site in the American Legion Magazine sparked a movement to repatriate the remains of the men of the Intrepid in Tripoli. In 1988 the US Congress passed a resolution reserving space for the remains of the men of the Intrepid at Arlington National Cemetery. In 2004, the New Jersey State Legislature passed a resolution calling for the repatriation of the remains of Master Commandant Richard Somers and the men of the USS Intrepid. In 2011, Rep. Mike Rogers (R. Mich) introduced a bill in the Congress "to direct the Secretary of Defense to take whatever steps that may be necessary to exhume and transfer the remains of certain deceased members of the Armed Forces buried in Tripoli, Libya, and for other purposes." Somers Point, New Jersey is not named after Master Commandant Richard Somers, who was a native son of Somers Point, born there on September 15, 1778, the son of Revolutionary War Colonel Richard Somers and great-grandson of the city founder John Somers, after whom the city is named. The City of Somers Point, originally known as Somerset Plantation, is the oldest settlement in Atlantic County, dating back to 1693. This four square mile attractive town is located in the eastern portion of Atlantic County in what was once known as Great Egg Harbor. Somers Point was first incorporated as a borough in 1886. At that time the voting population was 48. The city is approximately ten miles south-west of Atlantic City, and 60 miles south-east of Philadelphia. The city is bordered on the east and west side of Egg Harbor Township and to the north of the City of Linwood. Three bridges join Somers Point to Cape May County on its southerly border; they are the Beesley's Point Bridge (currently closed), the Garden State Parkway Bridge, and the Rt. 52 Bridge (currently being re-constructed, but passable) into Ocean City. Somers Point is primarily a residential community with a relatively large proportion of its residents employed in professional services or executive positions in Somers Point and neighboring communities. Shore Memorial Hospital, a modern 380-bed medical facility, is Somers Point's largest employer, providing 1,400 jobs. 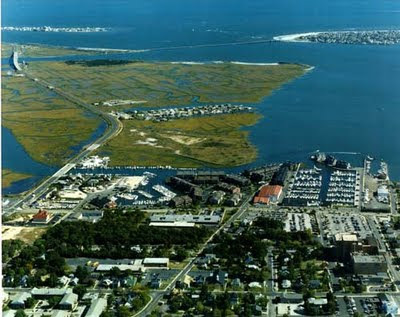 Because of Somers Point's location on the Great Egg Harbor River bay-front, it is known for its marinas, boating, and numerous fine restaurants. Somers Point also has a vast variety of small and large businesses located throughout the community, including many medical professional offices as a result of the location of Shore Memorial Hospital. Friday, April 15, 2011, p. A. Posted: Thursday, April 14, 2011 10:18 pm | Updated: 8:09 am, Fri Apr 15, 2011. SOMERS POINT - Libya's turmoil may have the world's attention, but Somers Point residents are following the unrest there for a unique reason - the opportunity to bring their namesake home. In 1804, Navy Master Commandant Richard Somers - who was born in 1778 in the area of what is now Somers Point - was ordered to load the ketch USS Intrepid with explosives, sail it into Tripoli Harbor and explode it among the ships of the Libyan fleet. Most historians say that if the mission had succeeded, it would have wiped out all of the remaining enemy ships and brought a quicker conclusion to the First Barbary War. But it failed when the ship exploded prematurely - possibly on purpose to prevent the ammunition from getting into the hands of the enemy pirates - and the bodies of Somers and his 12 crewmembers have been buried on "enemy soil" ever since, despite efforts spanning more than a century to bring them home. But the current military strife in Libya has residents and officials optimistic that Somers could return to native soil soon. "I think we're further along than we've ever been," said Walter Gregory, chairman of the city's Committee to Return Richard Somers. "We're being helped by all of the national attention that is on that region and because there is now a window that could be created, between the old Libyan government going out and a new one that could come in, for someone to get in there and recover the body." A bill was introduced in the U.S. House of Representatives on Tuesday calling on the Secretary of Defense to "take whatever steps may be necessary" to bring Somers and his 12 comrades home. City officials also are scheduled to meet with federal legislators today in Washington in support of that same cause. "Right now we're trying to generate as much support as possible," Somers Point Mayor Jack Glasser said. "Richard Somers died fighting for this country, and in a very heroic way. To have him still over in Libya, which has always been considered hostile soil, is unacceptable. It's time to bring him home." Two days after the Intrepid exploded, the bodies of Somers and his men were recovered on the beach of Tripoli Harbor. U.S. military officers, who were taken prisoner in Tripoli after the battleship Philadelphia ran aground earlier in the battle, helped identify the bodies - the officers by their uniforms, Somers by his hair. The bodies were buried in separate locations until the late 19th century, when Italian workers building a coastal road exhumed the bodies and relocated them to their current location in a Protestant cemetery. "We really don't know what condition the graves are in. But from people who have been over there and photos we've seen, they are unguarded and are not being cared for," Gregory said. "And we're also concerned because the fighting that is going on now is happening right there in Green Square ... and we don't know what this whole thing will do to how the U.S. is perceived by the Libyan people. There is a fear that if the populous comes out of this hating us, that those graves will be vandalized." Efforts to relieve those kinds of concerns date to the 1840s, when the Somers family campaigned to have the bodies of the Intrepid crew returned to the United States. Significant movements to repatriate the bodies also took place during the Libyan-centered hostilities of the 1980s and prior to the 200th anniversary of the Intrepid's explosion. The state Assembly passed legislation in 2004 calling for Somers' return. "We've tried to make this happen so many different ways. We've tried the political approach, we've tried the military angle through the Department of Defense, we've had private citizens get involved and we've even directly contacted (Moammar) Gadhafi's son,' Gregory said. "But for one reason or another, it never happened." Gregory said most of the opposition has come not from Libya but the federal agencies normally charged with recovering missing service members. He said past conversations with the Gadhafi Family Foundation were encouraging but that U.S.-based agencies, such as the State Department and the Navy, have either consistently "found reasons" not to get involved or promised help that never materialized. "We've had our ups and our downs," Glasser said. "But this is something that I think the residents of Somers Point will continue to fight for, even after those of us who are here now are long gone." Among the most prominent supporters of the cause is U.S. Rep. Frank LoBiondo, R-2nd, who has given a voice in Washington to the Somers Point residents' efforts and has helped navigate them through the federal bureaucracy. "Richard Somers is not just a local hero, he is a national hero," LoBiondo said. "But it's been a real challenge to recover his body because the country where he is buried is not readily accessible." A lot has changed in the past 200 years, but LoBiondo said there is an irony to how much has not. Somers Point residents agree. 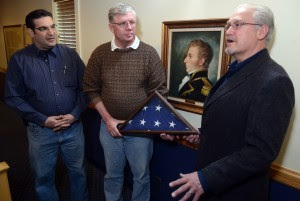 "It's amazing the similarities between what was happening then and what is going on now," said Greg Sykora, a member of the Committee to Return Richard Somers. "Libya is going through another civil war, we're on the brink of war with them again, we're still fighting pirates and Richard Somers is still over there. The similarities are really too numerous to mention." The bravery of Richard Somers and his men - knowing the mission could likely result in their death, but volunteering anyway - earned them national recognition. Somers has had six U.S. Navy ships named after him. Somers Point in Atlantic County is named after his family. And the Tripoli Monument, the nation’s oldest military statue, stands in Annapolis, Md., in honor of the men who died in that battle. But Somers Point officials are scheduled to meet today with LoBiondo and U.S. Rep. Mike Rodgers, R-Mich., chairman of the House Intelligence Committee, in an attempt to provide them with a more grandiose and lasting tribute, by bringing them home. Rodgers sponsored the bill that was introduced Tuesday to repatriate the crew, and LoBiondo co-sponsored it. Glasser said there are plots reserved for the men at Arlington National Cemetery. "But our wish is to bring him back to Somers Point," Glasser said. "We want him to come home." The federal government would cover the costs of bringing the bodies back. The city has considered two potential locations where Somers could be buried and a monument erected in his honor. "One of the sites is by the Somers Mansion and the Atlantic County Heritage Society. The other is next to the library where the old veterans park was located," said Gregory, adding the idea is in the design phase. "We're looking to raise a monument and have a flag flying there 24/7. We're in the process of raising the money for that now." Even though the momentum behind the cause has picked up, yet again, the Somers Point residents behind it are staying grounded. "We've always been optimistic that this will happen," Sykora said. "It could happen overnight or it could take years. But we're going to keep trying." To direct the Secretary of Defense to take whatever steps may be necessary to exhume and transfer the remains of certain deceased members of the Armed Forces buried in Tripoli, Libya, and for other purposes. Mr. ROGERS of Michigan introduced the following bill; which was referred to the Committees on Military and Veterans Affairs. 3 Cemetery in Tripoli, Libya. 6 of the Tripoli Castle in Tripoli, Libya. 15 February - Riots in Benghazi triggered by the arrest of a human rights activist. The riots soon turn into a fight against government forces, with protesters demanding Col Muammar Gaddafi, who has ruled Libya for 41 years, step down. 24 February - Anti-government forces take control of Misrata after evicting forces loyal to Gaddafi. 27 February - UN Security Council passes Resolution 1970, imposing sanctions on Gaddafi and his family and refers the situation in Libya to the International Criminal Court. Next day, EU governments approve a package of sanctions against Gaddafi and his closest advisers, including an arms embargo and travel bans. 1 March - UN General Assembly suspends Libya's membership of the Human Rights Council. Aid agencies report that at least 147,000 people have fled across Libya's borders. More are on the move. 5 March - The Libyan National Council meets in Benghazi and declares itself sole representative of Libya. Gaddafi's forces continue to fight in other areas. 6 March - Former Jordanian Foreign Minister Jordan Abdelileh Al-Khatib appointed UN special envoy to Libya. Next day, a regional Flash Appeal for the Libyan crisis is launched by aid agencies. Foreign workers continue leaving Libya. 9 March - Over 100 physicians with medical supplies deployed in eastern Libya by the Arab Medical Union. Access to western Libya remains a problem. 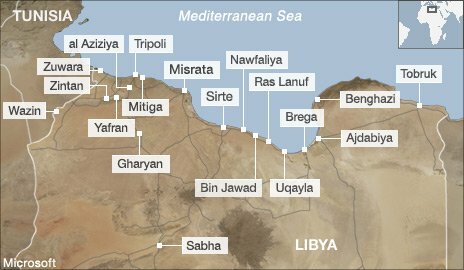 10 March - Forces loyal to Gaddafi bomb the oil town of Brega and take back control of Zawiyah, about 50km west of Tripoli. France recognizes the opposition Libyan National Council (the opposition to Gaddafi) as the legitimate representative of Libya's people. 12 March - The Arab League calls for a UN no-fly zone over Libya to deter the bombardment of civilian targets by government forces. 15 March - Tunisia's Ministry of Public Health, supported by WHO, UNICEF and other health partners, start a vaccination campaign for an estimated 100 under-five children currently residing in Choucha transit camp on the Tunisia-Libya border. 17 March - The UN Security Council votes on Resolution 1973, which authorizes a no-fly zone over Libya and "all necessary measures" to protect civilians against government forces. 18 March - Reports of a critical shortage of medical personnel in Benghazi particularly as majority were migrant workers who have now left Libya. Next day, coalition air strikes on Libyan government forces start. 20 March - Libya declares a ceasefire, but fighting continues amid rising concerns for the safety of civilians in conflict areas. Next day, Gaddafi tells supporters he will not surrender and asks them to form a human shield to protect him at his Tripoli compound. 24 March - NATO says it will enforce the no-fly zone but stops short of taking full command of UN-mandated military operations to protect civilians. Continuing hostilities, particularly in Misrata, Ajdabiya and Zintan. Some migrant workers and refugees from Libya are stranded at Saloum on the Egyptian border and sleep by the roadside25 March - Report from eastern Libya of increased internal displacement including estimates that up to 25,000 people have been displaced. 28 March - Qatar becomes the first Arab country to recognize Libya's opposition as the people's legitimate representative. Over 50 anti-personnel and anti-vehicle mines discovered near power pylons outside Ajdabiya town. 29 March - Shortages of nursing staff, surgical equipment and water, particularly in eastern towns of Ajdabiya, Brega and Albethnan reported. Aid workers demand access to millions of Libyans trapped behind battle lines. "Tell them please, please have a ceasefire," Muftah Etwild, director of international relations of the Libya Red Crescent, tells IRIN. 31 March - Handicap International sends a team to Libya in response to concerns over risks to populations from the use of landmines and unexploded ordnance in recent fighting. 3 April - Warplanes fly over Brega as anti-government forces fight government troops for control of Brega. Government forces attack the towns of Zintan and Yafran. Some 213 people reported drowned in the sea after leaving Libya for Italy. 4 April - Italy recognizes Libyan rebels. 5 April - Turkish medical aid ship arrives in Turkey with injured Libyans from Misrata where fighting continues. Up to 13,600 people remain stranded at camps and transit points on the border with Libya. 6 April - WFP moves more than 1,500 tons of food into eastern Libya, enough to feed more than 100,000 people for a month. ICRC warns that the abundance of weaponry represents a major hazard for the country's civilian population. Testifying before Congress on Thursday, General Carter Ham, the head of U.S. Africa Command affirmed that the situation in Libya is grinding toward a stalemate. The Libyan rebels are not an organized fighting force, but Moammar Gadhafi cannot mobilize a major offensive against them because of NATO airstrikes and dwindling support within his own army. So what lies ahead? Military analysts and Libya experts articulate three main possibilities: (1) a prolonged stalemate, (2) a negotiated settlement, or (3) total victory for one side. 1. Prolonged stalemate: The situation could remain much as it is now with the opposition controlling Benghazi, Ajdabiya and some of the coastline. Moammar Gadhafi would control the rest. Max Boot, a national security fellow at the Council on Foreign Relations (CFR), describes the worst case scenario in which this stalemate drags go on for years – much as Saddam Hussein clung to power for a decade after the First Gulf War. Middle East scholar Juan Cole illustrates a more hopeful scenario in which - after weeks, months or perhaps a year - a negotiated settlement is reached. He noted that the 1995 Dayton Accords were signed more than a year after NATO started bombing in Bosnia. 2. Negotiated settlement: Many analysts argue that time is not on Gadhafi’s side. NATO strikes wear down his forces while other nations supply the rebels with weapons and training. The rebels are gaining access to oil money and potentially to Gadhafi’s frozen accounts, while sanctions squeeze Gadhafi and his associates. Unable to pay his mercenaries and losing control, Gadhafi might ultimately feel forced to negotiate, or former loyalists may oust him and negotiate in his stead. In either event, the outcome of a negotiation is an open question. They could lead to the establishment of an interim council, paving the way for parliamentary elections, or, if the stalemate lasts for many years, potentially the partition of Libya. 3. Total victory for one side or the other: Gadhafi’s regime could collapse. This is the scenario many are hoping for. This could occur if Gadhafi’s army breaks in the face of continued NATO bombing or if Gadhafi’s deputies defect en masse. Tripoli would then be open to the rebels. The opposite possibility is that Gadhafi defeats the rebels and reasserts control over all of Libya. This is the nightmare scenario, but it is also extremely unlikely. 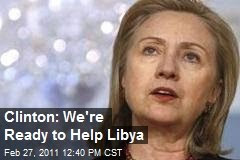 The world’s attention would have to shift away from Libya entirely to allow Gadhafi to amass the requisite force. Most analysts agree that sooner or later - whether weeks, months or years – Gadhafi has to go, leaving open the question of what happens next. But there is also reason for optimism. As Al-Ameen says, “Libya’s level of education is high. We’re not looking at a country like Afghanistan, which is a tribal society without leadership or government. Nor is Libya like Iraq with so many sectarian differences. Libya also has economic resources that will help it survive and prosper. The future doesn’t look too bad. 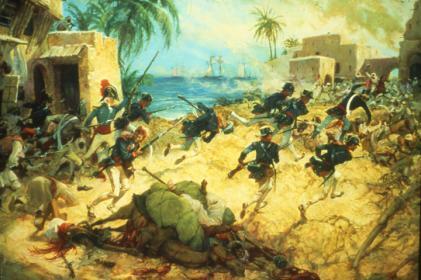 The tyrant of Tripoli demanded millions of dollars in tribute to stop pirating ships, Americans were being held for ransom in the dungeons of the old castle fort, the US Navy bombarded the city while a ragtime army of rebels captured an important eastern port town, repelled a counterattack by loyalists forces and began to march on Tripoli against all odds. Sound familiar? Well that was the situation in 1805 when Yusuf Karamanli, the tyrant of Tripoli had demanded millions of dollars in tribute and ransom for the 300 man crew of the captured frigate USS Philadelphia. Rather than pay tribute or ransom, the American people responded with the battle cry of “Millions for defense, but not one cent for tribute,” and Congress approved the financing of the construction of a fleet for a Navy to go and fight the pirates. One of the first American ships on the scene, the schooner USS Enterprise, under Lt. Andrew Sterett, encountered the pirate ship Tripoli. After a fierce fight, during which the pirate captain twice faked surrender, he finally capitulated, but because we were not officially at war, Sterett couldn’t take the ship as a prize. It was however, a good example of how the Americans intended to deal with the pirates. Another American warship, the frigate USS Philadelphia, was less fortunate, and under command of Captain Bainbridge, ran aground while chasing a pirate corsair into Tripoli harbor. The 300 man crew were taken prisoners and held for ransom in the dungeons of the old castle fort. Lt. Stephen Decatur, aboard the captured pirate ship rechristened USS Intrepid, entered Tripoli harbor at night, sunk the Philadelphia and escaped without any casualties in what was one of the first covert actions of the US Navy. Decatur and Lt. Richard Somers then led successful attacks against the pirate fleet in Tripoli harbor. Somers and twelve other men would die in the September 4, 1804 explosion of the Intrepid, which had been outfitted as a fire ship that prematurely detonated, killing everyone. The next morning their bodies washed ashore and prisoners from the Philadelphia buried them in the park east of the fort, which is now known as Green Square. While the navy bottled up Tripoli harbor, US counsel to Egypt William Eaton opened up another front, convincing Hamet Karamanli, the deposed brother of Yusuf, that he could reclaim power with the help of the Americans. With eight US Marines under Sgt. Presley O’Bannon, a contingent of Greek Christian mercenaries and a calvary of Bedouin tribesmen, they marched across the desert and attacked the eastern port city of Derna. In an overland surprise attack they captured the city in a little more than an hour, and then repulsed a counterattack from Tripoli loyalists. As the ragtag army, flush with two quick victories, began to march on Tripoli, Yusuf Karamanli met with the American diplomat Tobias Lear and accepted a peace treaty that paid $60,000 in ransom for the prisoners of the Philadelphia and allowed Yusuf Karamanli to remain in power. The treaty also betrayed and abandoned Hamet Karamanli, who thanked Presley and the Marines for fighting with him by presenting Presley with his Mameluke sword, now used as the official dress sword of the US Marines. The treaty also left behind the remains of Lt. Somers and the twelve officers and men of the USS Intrepid buried in Green Square, which once Gadhafi is gone, will be renamed Martyr’s Square, in honor of all those who died fighting the tyrants. And now, as we witness the unfinished march to Tripoli as it plays out today, will Eaton, O'Bannon, Hamet Karamanli and Tobias Lear be redeemed and avenged by current events? Or will a treaty for peace allow the tyrants to stay in power?